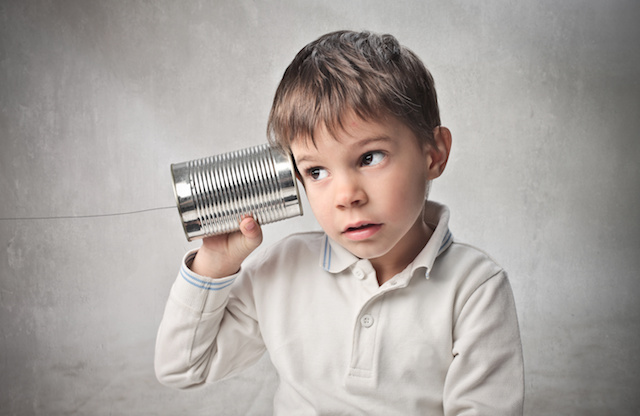 Most of us are familiar with the telephone game. For those that haven’t played, the game is very simple. A group of people stands in a line. A simple sentence, starting with the first person, is whispered into the next person’s ear one by one until the message reaches the end of the line. Typically, the sentence that is revealed by the person at the end of the line is significantly different than the one that was started with. Just as in the game, this phenomenon of simple miscommunication exists in the workplace. Once you realize just how easily spoken communications can be changed inadvertently, the importance of effectively communicating is reinforced. Car dealerships are particularly prone to this given the complexity of many of the activities occurring. If a salesperson misunderstands the sales manager when working a deal with a customer, it can alter the rapport and general experience for that customer significantly. When a service advisor communicates with a customer ineffectively, the same thing can happen. The obvious solution is accurate and detailed documentation in every customer and internal transaction. That being said, there are simply too many things happening and sound bites of information being exchanged that recording everything would be laborious and inefficient. The solution lies in ensuring that you have processes and technology in place that record and track everything related to a customer’s transaction with your dealership in the most time-efficient manner possible. In addition, you should take the time to train your staff some basic effective communication skills. Simply understanding these basic concepts will help avoid misunderstandings. How You Relay Information Matters – People learn and retain information in different ways. Think about when you were in school. Did you retain information better by reading the textbook or listening to the lecture? The same applies in the workplace. Some people retain information better and more accurately when it’s delivered to them in a visual manner while some prefer to have it spoken to them. By learning how each of your co-workers best process information you’ll increase the effectiveness of communications and decrease the likelihood of mistakes and misunderstandings. The Content Relayed Must Be Tailored for Each Individual – This simply means that everyone must be cognizant of the knowledge level of the person that they are speaking to. A service advisor and technician can have much more complex and technical conversations about what’s going on with a customer’s car than they may be able to with the cashier or receptionist. A finance manager may be able to interact with a sales manager on a higher level than they can with a customer or salesperson. When you are interacting with someone and they will be relaying information to another person, make sure that you are speaking to their level of knowledge so that they understand what you are saying. Most miscommunication occurs simply because the recipient didn’t understand exactly what he or she was told and this can cause a lot of problems that could have been avoided. This is especially true when the information is being relayed to a customer. By understanding these two fundamental concepts, you’ll be able to increase the effectiveness of communication between all employees and reduce the probability that miscommunications occur. By doing this, you’ll create a powerful environment that will allow you to operate more efficiently which will translate into a more efficient workplace, better customer experiences and increased revenue. This article started as an investigation into a company providing services to the automotive industry,Review Boost. I didn’t know much about the company, only that it had received some negative press and accusations of gaming online reviews. In fact, it even had a local San Antonio television station, KSAT, run a news segment regarding a dealership who used their services. There have been blog articles written questioning the authenticity of the reviews as well as articles written in both Automotive News and F&I Magazine. The importance of reputation management has been increasingly on dealers’ minds, being, from the dealers I spoke with and interviewed for DrivingSalesTV, the hot topic of this year’s NADA convention. The FTC is cracking down on companies engaging in posting misleading reviews, legislators are pushing for stricter laws regarding this practice, legal advisors are reporting that a company exposes themselves tolegal risks by engaging in this act, and a California law went into effect Jan 1, 2011 making it a criminal activity. Add to these variables the fact that search engines are starting to increase the importance of online reviews in their algorithms and incorporating them into search results, naturally, when they popped up on my radar again after partnering up with an industry vendor, I was curious as to why the partnership happened and I started asking questions and doing some homework. I spoke with William, the owner of Review Boost, at length. We spoke for upwards of an hour and he walked me through what his company does. First, to be clear, they deny all accusations of gaming reviews and/or writing the reviews themselves. William was very pleasant, if understandably nervous during our conversation but, in my opinion, sincerely wanted to clear the air regarding what his company does. Without revealing too many of his proprietary practices, which he shared with me, I didn’t get the impression that he is doing anything wrong at all. Now, given that there were already a ton of articles investigating and breaking down why other people feel that they are, I didn’t feel the need to rehash what others have already done and I wanted to give them the benefit of the doubt. See, William isn’t in the car business. Review Boost began assisting local businesses like dentists, doctors, and such. It ended up that dealers account for about 30% of their current client base but this wasn’t by design. The crux of their strategy, which is what surprised me the most, is that they administer a website called myreviewboost.com in which they post reviews collected from clients of their dealers. These reviews are then syndicated across about 40 online review directories through partnerships with them. I was surprised that such a syndication was allowed but I did some investigating and, not only is it allowed, but it is encouraged. Judysbook.com, in example, promotes review sharing partnerships openly. I reached out to Google themselves. The fact that they syndicate reviews is telling about their policies but they did point out within their Review Posting Guidelines that conflicts of interest, including misrepresentation and/or posting reviews on behalf of others is not allowed. In essence, William’s company is soliciting reviews only from the customers which the dealer provides contact information to them. They do not edit the reviews – whether positive or negative. They will moderate a negative review, if received, allowing the dealer a chance to resolve the problem and then, when the dealer reports that the problem has been resolved, resurveying the customer to get an updated review. In my mind, this absolutely explains why almost every review is positive. If I were a dealer who needed to increase my online reputation, I certainly wouldn’t hand over an unhappy customer’s e-mail address to be reviewed. In fact, I know many dealers that will occassionally RDR cars to the factory with incorrect information to avoid a potential negative CSI survey and/or “buy” surveys from their customers through offers of free oil changes or something to encourage their consumers to return the surveys to THEM and not mail them in to their OEM unscreened. William’s strategy made perfect sense to me and the syndication accounted for the reason for the same review appearing on multiple sites. So while this practice may be viewed by some to be unethical, it’s not illegal or in violation of these directories terms of service. They’re simply taking advantage of existing online directories willingness to crawl their review site to maximize the SEO value of each review they collected from their client’s customers. So, is this article about Review Boost? No. The real story is what is ethical in the online reputation management arena. I’m sure that we would all agree that posting fake reviews is unethical and, in some cases, illegal. Posting REAL reviews, verbatim, by your customers on their behalf with their permission. Screening WHO gets reviewed to avoid negative reviews. The fact is that online reputation management, and the process in which dealers are utilizing, are becoming more and more important for the many reasons I described above. How do you feel about this? What’s ethical or unethical regarding online reputation management? Can You Be A Packer Fan in Bear-Town at Work? Yesterday, a good friend of mine, Joe Webb, President of DealerKnows Consulting, posted a news article on his Facebook wall that got all sorts of comments from his friends. In summary, the article involved a car dealership in Chicago who, on the day after their loss to the Green Bay Packers in the NFC Championship game, fired a salesperson for wearing to work, and refusing to remove, a Green Bay Packers tie. Most of the discussion centered around whether it was legal to fire this employee for refusing to remove the tie. Some of it questioned this salesperson’s right to wear it. Was the employer justified in firing him? Did the employee have the right to wear it at work? I don’t know about everyone else but it seems to me that GM’s decision to create more jobs in Mexico is absolutely bad business. Without the U.S. taxpayer, GM may not have a business at this point. This seems like a complete snub to Americans, who, last I heard, needed jobs. As of December 2010, thenational unemployment rate was 9.1%. It may be cheaper to have factories in Mexico and employ Mexicans. Being of Hispanic origin, I have nothing against Mexicans. The United States still owns about a third of General Motors and is the largest shareholder. What are your thoughts on this matter? Does GM have any obligation to the taxpayers? Should the United States government intervene – which is its right as a shareholder? With the Verizon iPhone Coming, Is It Time To Re-Think Mobile Marketing? With today’s announcement of the iPhone coming to Verizon, you have to analyze the mobile market and wonder if it’s time to embrace mobile marketing (if you haven’t already). The facts are that 85% (264 million) of the US population (307 million) has a cell phone. Smartphones accounted for about 30% of all phones as of Oct. 2010 but that number is projected to overtake non-smartphones in 2011 per Nielsen. That would take the number of smartphone users to 132 million across all cell networks – almost 1/2 the population of the U.S.
Android and iPhone users account for about 1/2 the total number of smartphones in use but the iPhone accounts for 65% of AT&T smartphone subscribers. I’m expecting that the chances that the percentage of Verizon smartphone users who have an iPhone will approach, if not eclipse, the percentage that AT&T has. Assuming this holds true, the iPhone will end up accounting for 86 million smartphones with the Android comprising 30 million. A large percentage of the US population will have, and be using, smartphones. According to Morgan Stanley, mobile internet usage will overtake desktop internet usage within 4 years (by 2014). Getting the picture? This isn’t even accounting for web traffic originating via iPads, iPod Touches and Android-based tablets. It also doesn’t account for traffic generated through apps. Bottom line is that you need to have a mobile website and/or make sure that you’re existing website is mobile-friendly, at the very least. It’s time to seriously re-visit a mobile marketing strategy if you don’t have one. Don’t play catch-up later. Are OEMs Finally Embracing Social Media? 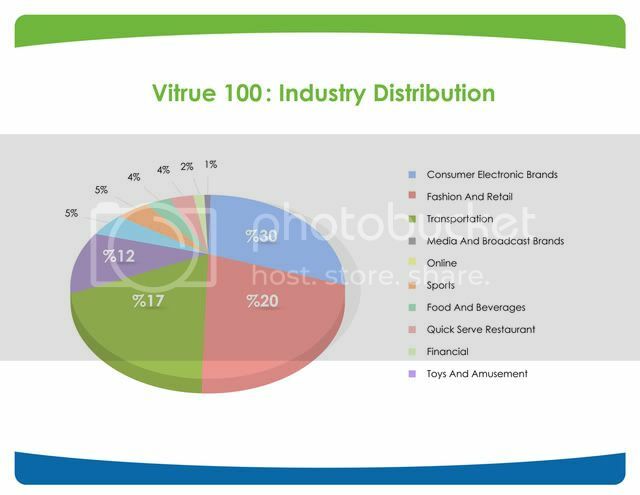 In analyzing the “Top Social Brands of 2010” list put out by Vitrue, you may notice a trend. (Keep in mind that this is a list compiled that includes every brand in existence and their social media presence and activity. That’s huge.) The automotive manufacturers have stepped up their social media game. A full 17% of the list is from the transportation industry. Ford was the highest ranked automotive industry representative at #11 followed closely by Mercedes (#12) and BMW (#13). General Motors scored the highest increased ranking amongst automotive manufacturers (2nd highest increase overall) jumping 31% from #85 to #54 over last year. All of the OEMs showed an increase in their social media branding and presence except for Ferrari (-1%), Toyota (-2%), Porsche (-2%), Jeep (-6%), and Kia (-9%). All of these brands were on the list last year but the lowest ranked one in 2010 was at #62 (Kia) versus #85 in 2009 (General Motors). Here’s the annotated list of automotive manufacturers and how they ranked in 2010 as well as their 2009 ranking and percentage change. What do you read into these statistics? I have just been informed through a very reliable source that Autotrader has officially acquired HomeNet Automotive. ATLANTA and WEST CHESTER, Pa., Dec. 1, 2010 — AutoTrader.com, the Internet’s ultimate automotive marketplace and consumer information website, has agreed to purchase HomeNet Automotive, a leading provider of online inventory management and merchandising solutions. The purchase is expected to close by the end of the year. The addition of HomeNet to the AutoTrader.com family of companies and brands provides AutoTrader.com with a best-in-class inventory management solution for the thousands of auto dealers who use AutoTrader.com to present their inventory of new, used and certified pre-owned (CPO) vehicles to online vehicle shoppers. Founded in 1996, HomeNet’s proprietary “Get. Edit. Deliver” technology has helped thousands of automotive dealers nationwide generate a high volume of leads and increase online vehicle sales. HomeNet’s signature solution, the Inventory Online (IOL) vehicle marketing suite, is an industry-leading vehicle inventory management and marketing system. AutoTrader.com’s purchase of HomeNet will bring a variety of benefits to dealers who post vehicles for sale on AutoTrader.com and to car shoppers who use AutoTrader.com to research and compare vehicles, find dealer specials, review inventory of cars for sale and select dealerships to visit. For dealers, incorporating HomeNet’s proprietary inventory management system into AutoTrader.com’s dealer tools will allow for easier and faster inventory management and merchandising online. Dealers will be able to upload their listings faster, make updates and adjustments to their listings more easily and overall enjoy more flexibility and control in presenting their inventory for sale on AutoTrader.com. Consumers shopping for vehicles on AutoTrader.com will have access to better vehicle information, enhanced listings that include more photos and dealer comments, advanced search capabilities and more frequent updates and information about the cars they are shopping for and researching. The agreement to purchase HomeNet is the third in a series of acquisitions AutoTrader.com has announced in recent months. In September, AutoTrader.com announced the purchase of vAuto, the automotive retail industry’s leading provider of advanced software tools for used vehicle management, pricing and inventory optimization. Then, in October, AutoTrader.com announced its planned acquisition of Kelley Blue Book (www.kbb.com), one of the most recognized and influential brands in the automotive industry. AutoTrader.com plans to operate HomeNet as an independent subsidiary. Bob Landers, a 10-year AutoTrader.com veteran sales executive who was formerly vice president for AutoTrader.com’s Southeast division, has been appointed general manager and vice president of HomeNet. He will be the top executive at the company, replacing founder and former president and CEO Jesse Biter. Landers will work directly with other leaders at HomeNet and be responsible for day-to-day operations and long-term growth at HomeNet. Atlanta-based AutoTrader.com, created in 1997, is the Internet’s ultimate automotive marketplace and consumer information website. AutoTrader.com aggregates in a single location millions of new cars, used cars and certified pre-owned cars from thousands of auto dealers and private sellers and is a leading online resource for auto dealers, individuals and manufacturers to advertise and market their vehicles to in-market shoppers. The company also provides a robust suite of software tools for dealers and manufacturers to help them manage and market their vehicle inventory and display advertising on the Internet. AutoTrader.com continues to grow key business metrics, including revenue, profitability and site traffic. Today, AutoTrader.com attracts more than 15 million unique monthly visitors who utilize the site to review descriptions, photos and videos of vehicles for sale; research and compare vehicles; review pricing and specials; and read auto-related content like buying and selling tips and editorial coverage of major auto shows and automotive trends. AutoTrader.com operates two other auto marketing brands, AutoTraderClassics.com and AutoTraderLatino.com. AutoTrader.com also owns used vehicle management software company vAuto. AutoTrader.com is a majority-owned subsidiary of Cox Enterprises. Providence Equity Partners is a 25 percent owner of the company and Kleiner Perkins Caufield & Byers is also an investor. For more information, please visit www.autotrader.com. Last night, the popular consumer shopping website Groupon announced the implementation of Groupon Stores. For those unfamiliar with Groupon, here is the skinny: Groupon offers customers discounts on products and services in which Groupon has negotiated with the business for discounts based on an agreed upon number of people accepting the offer. They offer 1 deal per day, per city and then market this deal to the members in that market. They currently have over 33 million subscribers. Groupon collects a 50% commission on sales from the business for each offer BUT, since they only offered one deal per day, the exposure was fantastic since everybody saw it. It didn’t get “lost in the crowd”. It was still a VERY steep cost but the advantage businesses have found from utilizing Groupon in their marketing efforts is from attracting NEW customers and focusing on customer retention. With the launch of Groupon Stores, businesses can set up their own Groupon distribution presence and offer (and control) their own discounts. There is still a commission but it has been drastically reduced to only 10% of sales. “Setup a permanent (and free!) e-commerce presence on Groupon for promoting their business. Create their own offers to run deals whenever they want. Submit deals to be promoted to Groupon subscribers through email and the Deal Feed. This could be leveraged well in your service department by running oil change specials, tire deals, etc. It would give your dealership the exposure through Groupon via the free business-specific page they’ll provide. This new page will probably offer your dealership some SEO value as well but my advice would be to not set up a page if you don’t plan to offer any discounts. Too many dealerships have “Specials” pages on their own website that don’t have any specials on them. Don’t compound that huge mistake by participating in more “deal” websites in which you don’t have any deals. The biggest benefit to utilizing Groupon’s Store is that they will market it to their members in your area through both e-mail and via the other announced new feature – the Deal Feed, which is sort of like a Facebook wall for consumers to see the deals offered in their area as well as deals offered from businesses they “follow”. This does come at a cost (10% of sales from the offered deal) but the marketing power to attract new customers is huge. With the rumor-mill steadily increasing that Google is going to buy Groupon, I wouldn’t be surprised to see Groupon deals integrated into Google Place Pages. This would increase the perceived value of Google Place Pages to consumers in that it would centralize a single page in which consumers can get business information, see business reviews and see what deals the merchant is currently offering. The new feature rolls out today in a few markets but will be available shortly to everyone. Facebook announced yesterday that it will now be providing deeper analytics to all Facebook Page administrators. These analytics have existed but were only available to Facebook Pages with over 10,000 friends. While not “groundbreaking” or anything, what the new analytics will provide is a snapshot of your content’s activity on a PER POST basis. Previously the only information available was an overview of all post activity (rather than each piece of content). The new analytics will show you how many “impressions” your content has received as well as a percentage of impressions to feedback. How is this helpful? This information will allow you to “fine-tune”, if you will, your content posts to maximize “potential” views (ie. maximize how many times your content is shown in users’ News Feed). Keep in mind that Facebook controls what people see, you don’t. Find your content with the most impressions and try to find a consistency within your highest impression counts. It may be that, based on what your particular fans are doing, those “types” of content are considered more valuable to them than others so Facebook delivers them more. The feedback percentage will also effect how often your content is served to your fans. The higher the percentage of people that interact with you (via a piece of content), the more likely that content will be served up. This is just another great tool available for you to use that will help optimize your Facebook marketing efforts.